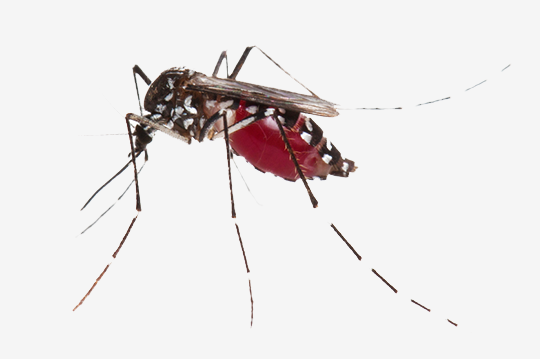 Mosquito Control Dallas, GA | Bug-Off Exterminators, Inc. When you call us about a mosquito problem, we send a professional pest control technician that is registered and has the knowledge and supplies to eliminate your problem. They have worked in many houses and businesses and are familiar with the preferred spaces around your property that mosquitoes use for reproduction. During your visit, they will start by inspecting your property for areas of standing water that serve as a breeding ground for mosquitoes. Clogged gutters, neglected bird feeders and even old boots left outside can all collect water without you noticing. They may recommend removing the water source, or sometimes they can use a larvicide to treat water in ponds and other areas that you cannot simply remove. The technician will use a misting spray to treat your yard. They treat your shrubbery and bushes where the mosquitoes tend to congregate. This residual spray is preferred for mosquito control because it continues to be effective for several weeks after your service is performed. Summer is the perfect time for outdoor entertaining, yet every year brings uninvited guests that ruin all the fun. Mosquitoes have always been an annoying part of spending time outdoors, yet the current concerns about the West Nile and Zika virus make avoiding these insects even more important. Since the last thing you want to do is deal with that frustrating buzzing sound as they fly around your ears, it is important to start early in the season with an effective plan for mosquito control in Dallas, Georgia. There are tons of products on the market that are supposed to deter mosquitoes, but they are rarely effective. That is why professional mosquito control services are important. When a professional technician comes to your property, they will identify the source of where the mosquitoes are coming from and use a spray that eliminates the adult mosquitoes. Since mosquitoes reproduce quickly when the conditions are right, the residual effect is critical for preventing mosquitoes from becoming an ongoing nuisance. Also, installing mosquito traps can exterminate the eggs and larvae before they can become adults. The traps provide exterminating between services and can greatly knockdown the future mosquitoes. While you can burn citronella candles all night, they don’t destroy mosquitoes at their source, which means you will see them keep coming back. 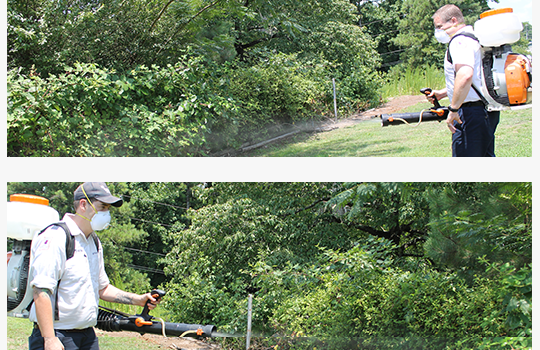 With a professional service, your technician will arrive with a backpack blower filled with a residual pesticide that is better for dealing with mosquitoes. Mosquito traps can be installed to create breeding spots for female mosquitoes. These traps contain a pesticide that exterminates the egg and larvae which prevents them from become adult mosquitoes. After your service visit, you should notice a drastic reduction in mosquitoes. If one does enter your area, they will not last for long due to the residual effect left behind by the misting spray. While this is the most effective way to eliminate mosquitoes, keep in mind that the treatment may need to be repeated each month because the spray does break down when it is exposed to weather over time. The traps are great because even in bad weather they continue to work at exterminating mosquitoes. If you have ever tried to enjoy yourself at a wonderful summer gathering of friends and family, but spent more time scratching your legs and being bitten by mosquitoes, then you know what a nuisance these pests can be. Many times these unwanted guests can literally take over a party and completely ruin the fun when people finally get tired of being bitten and give up and go inside. This summer, don’t let a swarm of mosquitoes ruin your outdoor fun. Keep your family and friends safe by calling us for a professional mosquito control service today.